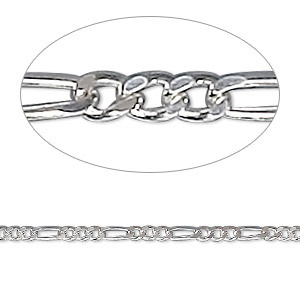 Chain, sterling silver, 1.6mm fine figaro, 18 inches. Sold individually. Item Number: H20-1575CH Have a question about this item? 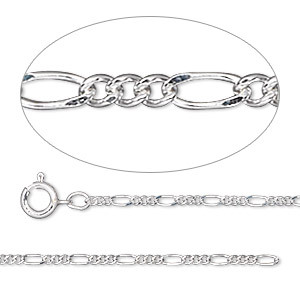 Highly polished, quality made using German and Italian chain-making machinery. Clasp style may vary from that shown. 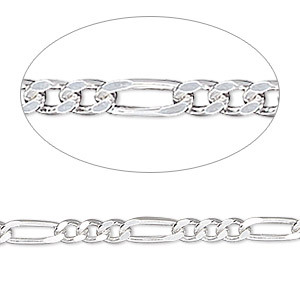 Chain, sterling silver, 1.6mm fine figaro, 20 inches. Sold individually. 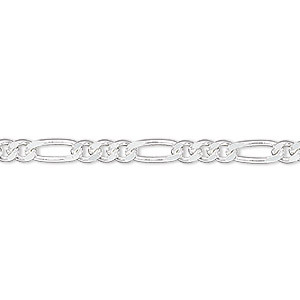 Chain, sterling silver, 1.6mm fine figaro, 24 inches. Sold individually.